This installation project in Tunbridge Wells involved fitting three stoves for this wonderful client. 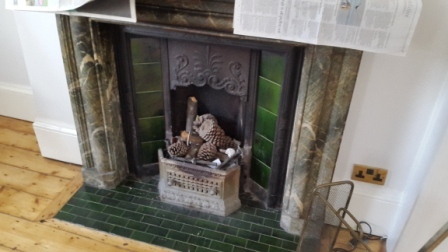 We removed the cast iron inserts in each of the three fireplaces and replaced them with Chesney’s Beaumont stoves. The first of the three stoves was for the kitchen area and the client chose the Beaumont 6KW Stove in Ivory by Chesney’s. 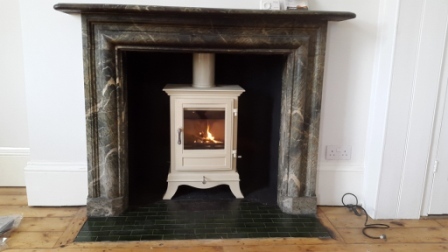 View another Beaumont stove installation by The Billington Partnership.